EXTRA SOFT BLANKET - Baby swaddle wrap Blanket 35*29*0.5 inches extra thick. Easy to wash, perfect Baby Shower Gift for babies and infant whit sensitive skin and skin conditions. MACHINE WASHABLE - The blanket can easy be wash in the wash machine, See Wash label instructions. 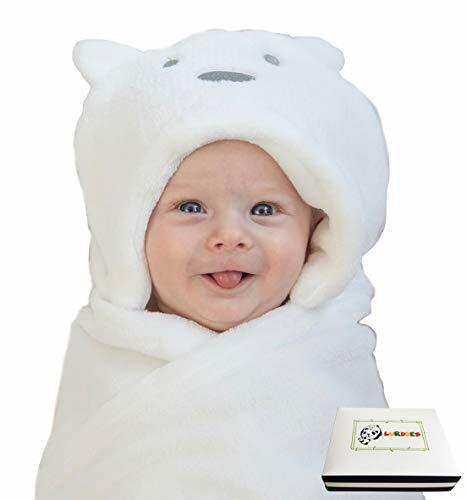 100% MONEY-BACK GUARANTEE - LurddesLurddes blanket is backed by 100% guarantee that you are fully satisfied with your product or receive your money back.